Will go on sale in Spring 2017 (March-May 2017). The 2017 Land Rover Discovery has made its world debut on the eve of the 2016 Paris Motor Show in France. The Parisian premiere marks the Discovery's official entry into its fifth generation. Live images from the venue provide the first up-close look at the redesigned model. Moving to its fifth generation, the Land Rover Discovery has adopted a softer, more urban design, and looks considerably different from the boxy fourth-gen model currently on sale. The new exterior is in line with the company's design language seen on the Land Rover Discovery Sport, as well as the luxury-focused Range Rover models. 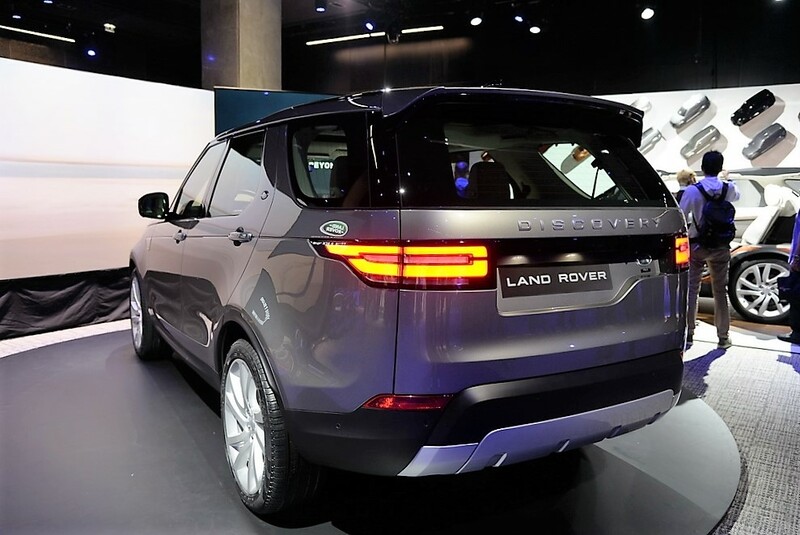 As expected, Land Rover did not deviate from the design of the Discovery Vision Concept for the exterior. Inside, the 2017 Land Rover Discovery continues offering seats for seven people. Five interior colour choices will be available: Ebony, Acorn, Nimbus, Vintage Tan and Glacier. The second- and third-row seats can be reconfigured simply using switches just inside the tailgate, the C-pillar, the infotainment system or even remotely through a smartphone. The Land Rover Discovery Mk5 is based on the aluminium-intensive Premium Lightweight Architecture (PLA) platform which also underpins the Range Rover Sport and Range Rover. The lightweight unibody construction has helped the Land Rover shed up to 480 kg. The 2017 Land Rover Discovery measures 4,970 mm in length, 2,220 mm in width (with door mirrors open) and 1,846 mm in height, and has a wheelbase of the 2,923 mm. The length has been extended by 141 mm and the wheelbase has been increased by 38 mm. The company says that the rearmost seats will accommodate even 1.90 metre-tall passengers comfortably, thanks to the SUV's trademark stadium seating and unique stepped roof. The 2017 Land Rover Discovery will be available with a variety of Jaguar Land Rover's four- and six-cylinder petrol and diesel engines. To be more specific, engine options will include a 3.0-litre supercharged V6 petrol unit good for 340 PS (335.21 hp) and 450 Nm of torque, a 2.0-litre turbocharged four-cylinder diesel unit that produces 240 PS (236.62 hp) and 500 Nm of torque and a 3.0-litre turbocharged V6 diesel unit that develops 258 PS (254.37 hp) and 600 Nm of torque. All engines are mated to a ZF-source 8-speed automatic transmission and a four-wheel drive system is standard. 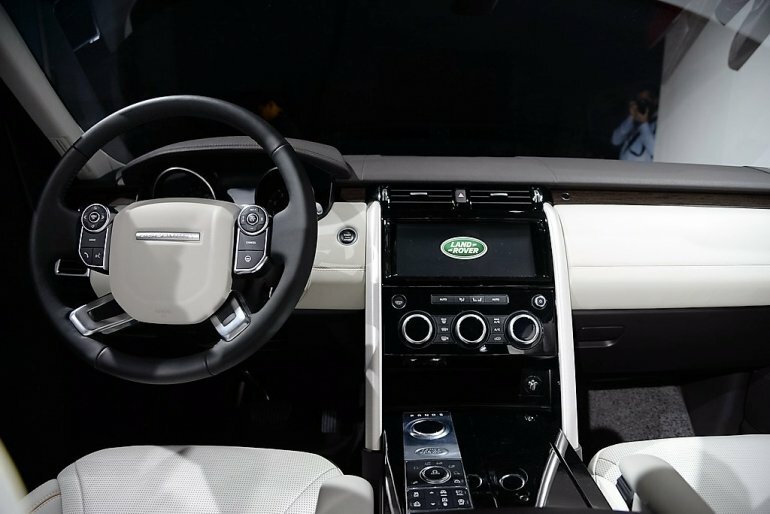 A few among the many highlights of the 2017 Land Rover Discovery are, adaptive LED headlights with LED daytime running lights, LED tail lights, 22-inch wheels, full glass panoramic roof, 5-inch display inside the instrument cluster, colour head-up display, configurable ambient lighting, InControl Touch Pro with a 10-inch high-resolution touchscreen display and 17-speaker Meridian audio system. The 2017 Land Rover Discovery will go on sale in the UK in Spring 2017 (March-May 2017) in five trim levels: S, SE, HSE, HSE Luxury and First Edition. The Discovery First Edition will be limited to only 600 units. 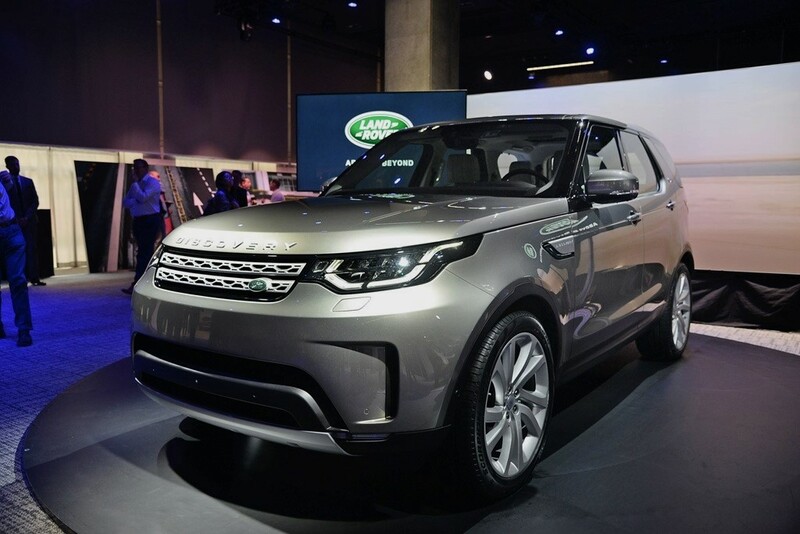 The fifth-gen Discovery is manufactured at Jaguar Land Rover's Solihull plant in the West Midlands, UK, alongside Range Rover Sport and Range Rover.